INDUSTRY.co.id - Bandung - Bandung Institute of Technological Efforts into a center of entrepreneurship development increasingly evident through the laying of the first stone development of Science and Techno Park Astra Sinar Mas which carried out the private sector. Sinar Mas Managing Director Saleh Husin said the development of technology makes a number of skills and also certain types of business is no longer needed. But simultaneously present opportunities as the emergence of diverse skills and new business forms. "In order to bring benefits to the welfare of the nation, we need a common attitude from all sectors," said Saleh Husin in his speech in Bandung on Tuesday (24/4/2018). 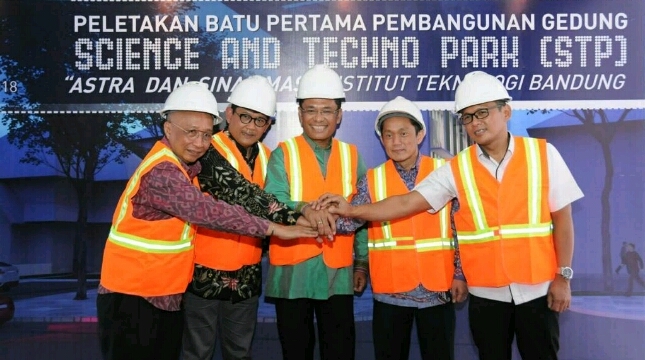 Together with Astra International and Sinar Mas in a consortium, ITB will have a four-storey building of more than 3,000 square meters to bring together researchers, students and businesses in educational, research and development activities, including an incubator for the pilot business. 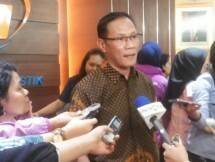 In line with the transformation of ITB into entrepreneurial university. The concept of green energy-friendly building, there will be a multipurpose room, cooperative office space, co-working space, and private space, all of which are planned to be operational by the middle of next year. Through one of its business pillars, PT Berau Coal Energy Tbk, this partnership becomes a series of Sinar Mas's commitment in the development of higher education, research and research. "We expect this facility to encourage the emergence of various technology-based innovations, as well as the answer to the Government's efforts to push the private role deeper in the field of research," he said. Also attending the event, Rector of ITB, Kadarsah Suryadi; Chairman of ITB Academic Senate, Indratmo Soekarno; Director of Science and Technology Area and Other Supporting Institutions Ministry of Research, Technology and Higher Education, Lukito Hasta P; and Head of Bandung Planning, Research and Development Agency, Heri Antasari. Previously, along with ITB and the Government of Bekasi Regency, Sinar Mas on January 27, 2010 established the Bandung Institute of Technology and Science at Delta Mas Bekasi, an Eco-Industry Oriented University to provide industry-oriented, environmentally-oriented education. From there expected to come the innovators who are not only science and technology, but the environment or eco-techno engineer.